Brushing and flossing every day are two key elements to maintaining a healthy teeth and gums. This goes for everyone in your family, adults and children alike. However, as important as these two habits are, they are not enough to keep your mouth in optimal health. Children don’t always brush as well as they should, and are very susceptible to developing cavities. Even the most diligent adults can miss certain areas of the mouth, which can lead to gum disease and tooth decay. 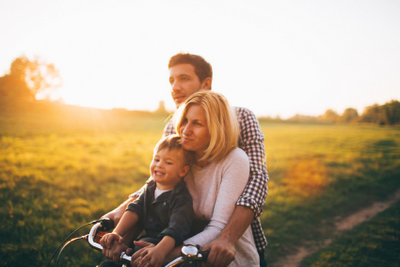 Family dentistry at the office of John T. Black Jr. DMD PA can help to keep the mouths of everyone in your family clean and healthy, no matter what their age. Regular cleanings and exams once every six months (at least) are a crucial element to maintaining a healthy mouth. During your cleaning, we use specialized tools to scrape off any buildup on your teeth (as well as between them and below the gum line). Plaque, tartar, and bacteria are a recipe for disaster. However, we can remove these contaminants, reaching places that you may not necessarily be able to. Once your teeth have been cleaned, we use a special polish and give your teeth a brilliant shine. Once your cleaning is complete, we perform a thorough oral examination. We inspect your teeth for any signs of damage – chips, cracks, fractures, decay – and your gums for signs of gum disease. While we are inspecting your mouth, we also stay alert for any oddities in your mouth that might point to oral cancer. Your molars have cusps. Moreover, in the middle of those cusps are deep crevices. Food particles and bacteria can easily find their way into these crevices and are almost impossible to get out with your toothbrush. Sealants, which are made up of plastic and other materials, are designed to cover (“seal”) these crevices, creating a flat surface that is easily accessible to your toothbrush. While sealants are often done on the teeth of children, they can also be beneficial to adults. Fluoride is also a common treatment for children and another one that adults can benefit from as well. Your teeth naturally contain fluoride, but it is lost every day. Certain oral care products, foods, and your water supply can contain fluoride, but not necessarily in the amount that is needed. Fluoride rebuilds the strength of your teeth and helps to prevent acid attacks by oral bacteria. Fluoride treatments are applied directly to the surfaces of your teeth and left to absorb. X-rays are an important part of your oral healthcare file. While we don’t take X-rays at every visit, by taking them periodically, we can check on the condition of your mouth in areas not seen by the naked eye. X-rays can show changes in your teeth or jawbone, damage under the gum line and more, and allow us to monitor the progression or worsening of certain issues. Even if you take excellent care of your teeth, accidents can still happen, and your teeth can become damaged. We offer restorations such as fillings for cavities, crowns, root canals and more. You have been told time and time again that going to the dentist is essential for good oral hygiene. However, sometimes, going to the dentist can be an anxiety-inducing event. If you are nervous about going to the dentist (and haven’t been in a while due to that fear), you should know that sedation can help. With the use of a sedative, you can relax in the dentist’s chair while you get the work done that you need. Dr. Black believes that the health of everyone’s mouth, no matter what their age, is important. 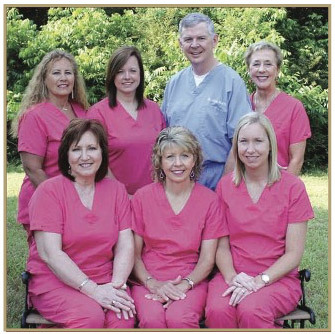 Give us a call today to schedule your family’s dental visit!